Basing on customer reviews and tests we have performed. We have come to a conclusion that Sam Villa Professional Light Ionic Dryerand Twin Turbo 3800 are the best professional hair dryers in 2019. If you want one for a salon, Sam Villa is the best because of its high end features, quietness and lightweight. Those with frizzy, curly hair – both Sam Villa and Twin Turbo 3800 can do a great job. It is very important to invest in a premium hair blower – this will save your hair from getting damaged and it will also save your ears from getting damaged as well. WHY SAM VILLA? It is a light weight Ionic dryer – can be used to maintain hair’s natural hydration. It dries hair very fast; giving it a brilliant shine finish. Sam Villa is a professional hair blower – most preferred by hairdressers and stylists. It has a very powerful airflow; it is whisper quiet and very comfortable to hold. WHY WE LOVE IT? Its lightweight, Ionic, Come with various Accessories, Durable & Powerful. WHY TWIN TURBO 3800 ? With 2100 watts, your hair will dry out very fast. Just like its name ”TWIN TURBO” – its fast and efficient. 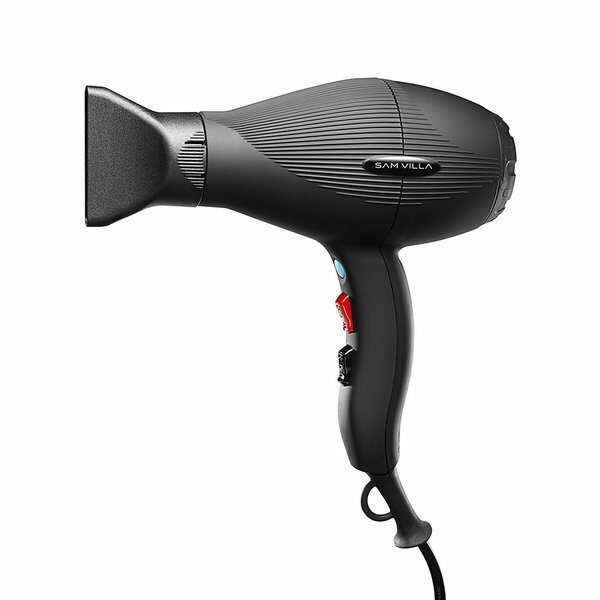 The built-in low noise silencer makes Twin Turbo a user friendly hair dryer. Features both the Ionic and Ceramic System – dries hair fast but at the same time leave it shinny and volumized. Ceramic hair-dryers: A ceramic hair-dryer is usually powered by ceramic heating-units to distribute heat through out your hair during the drying process. Ceramic hair-dryers are similar to older hair-dryers which were powered by metal-coils. On the other hand, ceramic hair-dryers have faster heating capabilities than ionic-dryers and this actually makes ceramic-dryers perfect for use in salons and at home. Additionally, ceramic hair-dryers facilitate for even heating while drying-up hair and these hair-dryers don’t become too-hot during the drying-process. Ionic hair-dryers: An ionic hair-dryer produces negative-ions over hair in-order to dry it up quickly. In fact, the negative ions help to seal-up the hair-cuticles thus enabling hair to trap in moisture while drying-up resulting into shiner, sleeker and less-frizzy hair. On the other hand, non-ionic hair-dryers diffuse positive-ions that cause hair-cuticles to open-up resulting into frizzy-hair and that is why it is usually recommended to use an ionic hair-dryers. (1)The Turbo-Compressor Technology delivers intense power with very quiet airflow which results into quicker drying time , (2) Faster, High quality, Powerful and efficient, (3) Ideal for all hair types including; thick hair & curly hair, (4) Quiet performance – it won’t blow-up your ears, (5) It leaves your hair shinny, (5) Ergonomically curved comfort grip handle – is very easy to hold without straining your hand, (6) Inexpensive, (7) It has a very strong motor and heating element, (8) It comes with a deep bowl diffuser that can be used to reduce frizz and maintain a natural curl pattern on wavy and curly hair. , (9) It has great cord, (10) Very easy use, (11) Leaves your hair smooth & silky, (12) Equipped with a high performance 1750-watt Italian motor, (13) Comes with 3 heat settings – easily choose the right heat setting for your hair. Twin Turbo 3200 Ceramic and Ionic Professional Hair Dryer – Check price on Amazon – THE GOOD:- (1) Extremely faster (2) Affordable professional hairdryer, (3) The ceramic distributes heat evenly in your hair thus dry it faster without causing any damage, (4) Choose from 4 temperature settings and an instant cold air shoot, (5) Whisper quiet. Affordable – RUSK Engineering CTC Professional Lightweight 1900 Watt Dryer -Check price on Amazon – THE GOOD:- (1) Affordable, (2) Powerful – 1900 Watts ( more than those of Babyliss Pro), (3) Can be used to dry hair, create curls or straighten hair, (4) Quiet performance, (5) Dries naturally curly thick hair very well, (6) It leaves your hair smooth & manageable, (7) You don’t need to own a flat iron when you have this hair dryer – because it can straighten your hair very well. BaBylissPRO Porcelain Ceramic 2800 Dryer – Check Price on Amazon – WHY WE RECOMMEND IT:- (1) Great price – this is one of the most affordable professional hair dryer on the market with a good customer rating, (2) Powerful 2000W Porcelain Ceramic Hair dryer, (3) 6 heat and speed settings give you complete control over your looks, (4) Uses far-infrared heat to penetrate moist hair – leaving it dry, smooth & shinny, (5) Ergo-Grip handle makes it easy to hold the blower, (6) Cold shot button for setting your hair, (7) Commercial grade porcelain ceramic, (8) High heat and increased air pressure, (9) NO frizzes, (10) Leaves hair smooth & shinny. 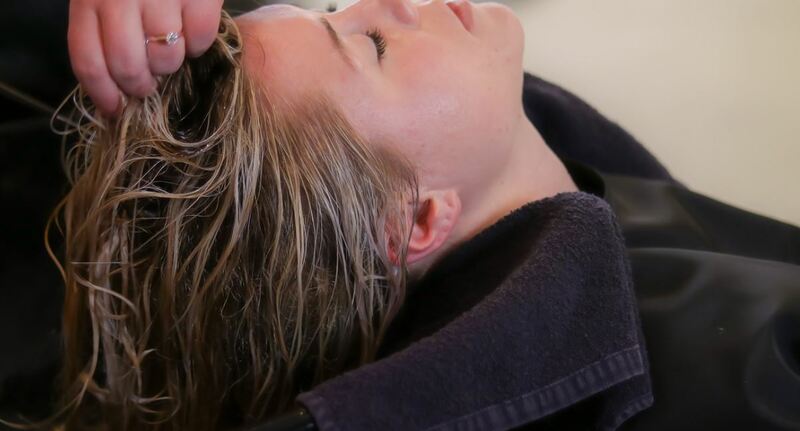 Rehydrate and re-condition hair: ionic hair-dryers actually restructure ion-clusters within hair by simply bathing your hair with negative-ions thus allowing water-molecules to penetrate deed into hair. This will actually help to rehydrate and re-condition hair each time you use an ionic hair-dryer thus keeping your hair moist and frizz-free. Fast hair-drying: the manufacturers and marketers of ionic hair-dryers claim that these hair-dryers reduce on hair-drying time by half compared to other types of hair-dryers. This implies that you will be able to dry-up your wet hair while using an ionic hair-dryer when at home thus making it a perfect choice for women who have less time for styling hair in the morning hours. They make hair shiner: ionic hair-dryers have actually been proven give hair extra-shine compared to other types of hair-dryers like ceramic hair-dryers. Eliminate static within hair: ionic hair-dryers also help to eliminate static within hair during and after the drying process. This actually helps to keep your hair looking healthy and shiner than never before. They are expensive: professional-grade or salon-quality ionic hair-dryers are a bit more expensive than other types of hair-dryers available on the market today. So, this means that you will need to spend some good money inorder to get a durable and high-quality ionic hair-dryer. They feel a bit heavier: some durable high-end ionic hair-dryers are a bit heavier than other types of hair-dryers. In fact, some ionic hair-dryers weigh more than a pound when compared with other traditional hair-dryers and this actually makes it a bit difficult to handle an ionic hair-dryer while styling hair yourself when at home. Not good for use on children: ionic hair-dryers actually produce a strong electromagnetic field which is about 200-to400 Gauss and such a radiation-level can actually cause cancer in children. This implies that you should avoid using ionic hair-dryers to dry-up children’s hair inorder to ensure optimum health. Cool shot button to lock in styles and promote luster. Sam Villa hair dryers are premium and well rated on Amazon. This is not a cheap brand – but you will get what you pay for. The hairdryer is made from Italy – not the usual models that are made-in-china. Its light weight and well shaped. You will feel comfortable holding and using Sam Villa hair dryer. The patented Evolution-Turbo Compressor technology delivers intense power and airflow that dries your hair on instant without making any noise. For those who want custom results, you can choose from 2 heat settings, 2 speed settings and a cool shot button which locks in styles. If you have fine hair, don’t worry about burning your hair. Sam Villa is tailored for all hair types. All you have to do with fine/thin hair is to choose the lowest heat setting. Accessories: – Sam Villa comes with 2 rotating concentrator nozzles. (1) Wide Nozzel- this one expands airflow while drying thick and long hair (2) Narrow Nozzel- this one is for polished finishes. (3) Deep-bowl diffuser:- can be used on natural curly and wavy hair. Light weight: – Sam Villa weighs only 1 lb. That is quiet light when compared to other hair dryers on the market. The incredible light weight reduces on fatigue. On-the-other hand; its ergonomic comfort grip handle reduces muscle strain thus making SAM VILLA the best professional hair dryer for salons and hairstylists. Dries hair faster:- With the 1750 watts, Sam villa will dry out your hair in less than 15 minutes. So you don’t have to rush or get worried of reaching late to work. Sam Villa was designed to dry hair faster ”saves you time”. Long 9 inch cord:- It has a rotating 9 inch memory resistant cord that doesn’t tangle. You can move Sam Villa to all kinds of directions without tangling the cord. 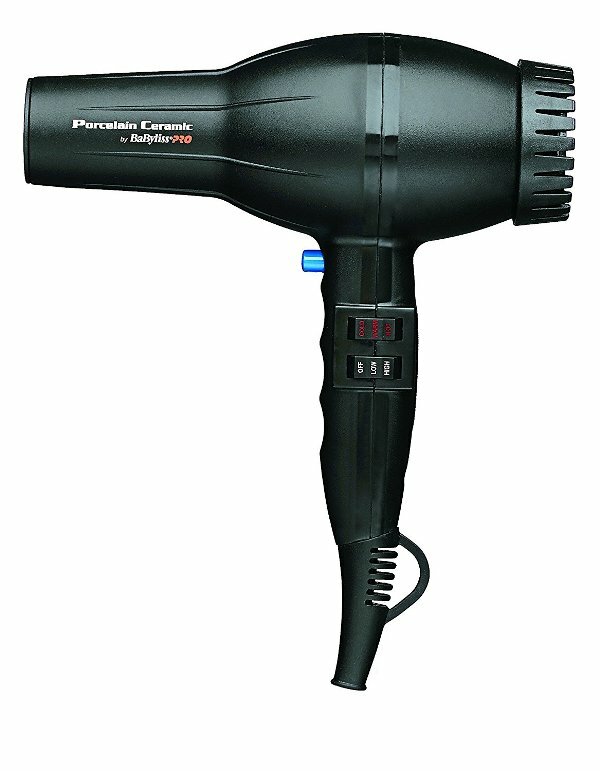 Does not heat-up:- It is a very powerful hair dryer – but it does not heat-up as most cheap hairdryers do. The extra attachments are a plus. Ideal for salons and professional use: – This is a durable and high performing hair dryer – recommended to all salon owners and hair stylists. I will do the job faster than regular hair dryers thus make you more money. There is no need of wasting time blow drying hair. Ideal for Thick Hair: – Ladies with thick hair, look no further than this. Sam Villa was tailored for that type of hair. It will blow dry it in a few minutes and it will leave it smooth, shinny and volumized. Twin Turbo 3800 is rated as the best professional hair dryer on Amazon. It is well priced and rated by customers as a top of the range hair dryer. Turbo Power TwinTurbo 3800 is an eco-friendly & quiet hair dryer. Able to blow dry your hair in the shortest period of time. The 9 feet long cord does not tangle easily – you have the freedom to twist the hair blower to any direction without worrying about cord tangling. SAFETY DRYING:- Ladies with fine hair, you don’t have to worrying about burning/damaging your hair while blow drying. Turbo Power TwinTurbo 3800’s nickel chrome heating element and safety thermostat will ensure your hair is dried up so fast without damaging it. MADE FOR HAIR STYLISTS & SALOONS:- TwinTurbo 3800 is a high end model tailored for hair stylists and saloon owners. Its Ionic and Ceramic Technology meet all required industry standards. Hair is dried from the inside out – thus leaving the external structure of your hair undamaged during the drying process. Quiet operation:- Twin Turbo 3800 has a low noise built-in silencer. You will enjoy using it for the rest of your life. Your ears are saved from that annoying and irritating noise produced by cheap non-premium hair dryers. Saves Energy:- Much as it uses 2100 Watts to dry-up your hair. Twin Turbo 3800 will always do its job in minutes – so that you don’t waste ENERGY. It does not matter if you always blow dry your hair every morning – your power bill will always be reasonable. Leaves hair smooth and shinny: – To some it might seem expensive, but this professional dryer will give you what you deserve. It is 100% worth the penny. Don’t think twice when buying Twin Turbo 3800. You will love it. Ideal for straightening hair: – If you have those big curls and you would like to straighten them up. Twin Turbo 3800 is the best choice for you. Simply adjust its air flow settings – watch it blowing out those curls and waves in no minutes. 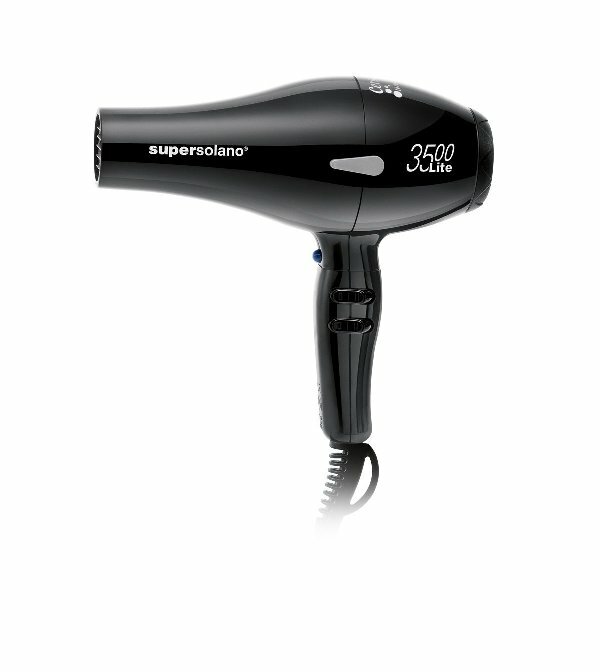 Gets hot very fast: – The Twin Turbo 3800 gets hot very fast – thus dry-up your hair in a very short period of time. This is a nice solid hair blower for professional stylists. The RUSK Engineering CTC Lite-Technology Professional is a Lightweight 1900-Watt Dryer that has been ergonomically designed and infused with titanium and ceramic in-order to facilitate for optimum heat-transfer while blow-drying hair. In fact, this hairdryer is designed for salon use because it features an innovative engineering design that allows it provide extreme power and heat without being too-heavy to hold during usage. On the other hand, the RUSK Engineering CTC Lite Technology Professional Lightweight 1900-Watt Dryer is equipped with over 7 heat/speed settings which facilitate for ultimate-control over airflow and temperature when drying hair while the diffuser and concentrator-nozzle facilitate for precise hair-styling. All in all, the RUSK Engineering CTC Lite Technology Professional Lightweight 1900-Watt Dryer features an innovative and lightweight design that makes it very easy to hold and use when blow-drying hair thus making it a perfect hair-styling tool for saloons. It facilitates for maximum heat transfer within hair: this hairdryer features a Ceramic-grill infused with titanium in-order to facilitate for maximum heat-transfer within hair during the blow-drying process. This actually ensures that hair is dried faster and evenly thus facilitating for best styling results. The BaBylissPRO Porcelain Ceramic 2800 Dryer is a powerful salon styling-tool that has been equipped with a 2000-watt motor coupled with 6 heat-speed settings inorder to allow the user to get optimum hair-drying results. In fact, this hair-dryer features a combination of porcelain-ceramic technology and ionic-technology which help to dry hair faster while eliminating static-electricity. On top of that, the BaBylissPRO Porcelain Ceramic 2800 Dryer also emits far infrared-heat that helps to dry hair faster and even protects it from getting damaged by heat. on the other hand, this dryer is equipped with a cold-shot button which allows the user to dry hair using only cold-air and this actually helps to protect hair from the effects of using hot-air during the drying process while the ergonomic-grip handle makes this dryer very comfortable to hold during usage. Additionally, the BaBylissPRO Porcelain Ceramic 2800 Dryer features a removable rear-filter which facilitates for easy cleaning after usage thus keeping this dryer clean and operating smoothly at all times. 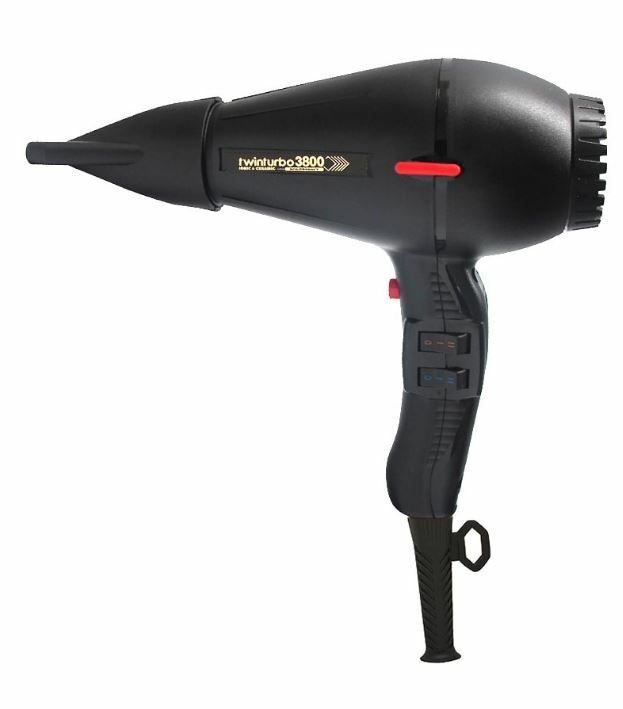 Lastly, a concentrator-nozzle is includes while purchasing this hairdryer and this nozzle actually helps you achieve special drying techniques like blowing-out. The Solano Supersolano-3500 Lite is a Professional Hair-Dryer that has been equipped with a powerful and lightweight 1800-watt motor inorder to provide the user with efficient and effective hair-drying results. In fact, this hairdryer uses far infrared-heat to dry hair from the inside-out while the ceramic-technology helps to distribute heat more evenly within hair thus facilitating for more efficient hair-drying results. On the other hand, the Solano Supersolano 3500 Lite Professional Hair Dryer also features tourmaline-technology which helps to add shine and smooth hair while minimizing flyways. Additionally, the ionic-technology used in this hairdryer helps to improve on moisture within hair while minimizing on static-electricity. All in all, the Solano Supersolano 3500-Lite is a lightweight and powerful hairdryer that will help you achieve salon-quality results everyday when at home. It’s provided with few attachments: the Solano Supersolano 3500 Lite dryer is usually provided with 2-concentrators and you just have to buy the other attachments for yourself like the diffuser. 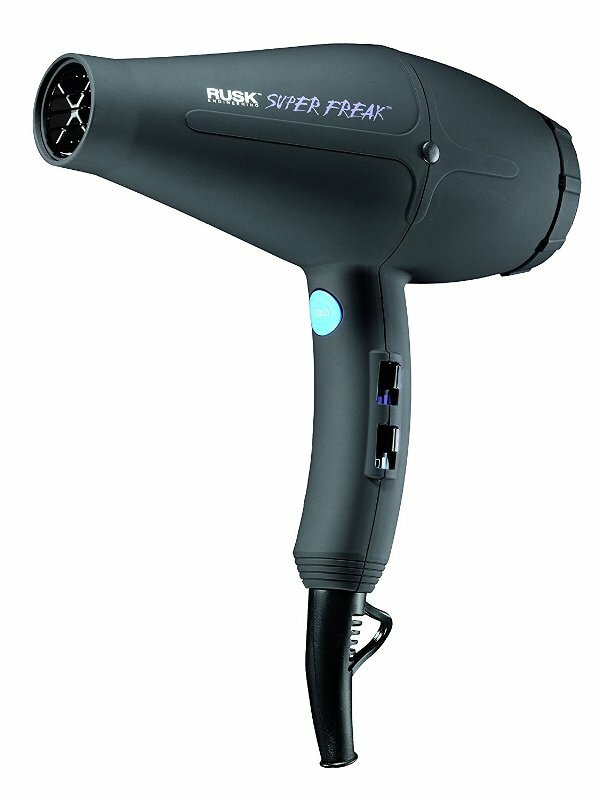 RUSK Engineering Super Freak Professional 2000-Watt Dryer is a powerful styling-tool that has been ergonomically designed and infused with ceramic and tourmaline which emit negative-ions in-order to help enhance on the quality of your hair while eliminating static and frizz within hair during the blow-drying process. In fact, this hairdryer uses far-infrared heat and negative-ions to reduce on hairs drying-time while its powerful 2000-watt Italian AC-motor gives-off superior airflow and pressure when drying-up your hair. All in all, the RUSK Engineering Super Freak Professional 2000-Watt Dryer was designed for heavy-duty usage by salon-professionals but you can also decide to get one for home-use for best hair-styling results. 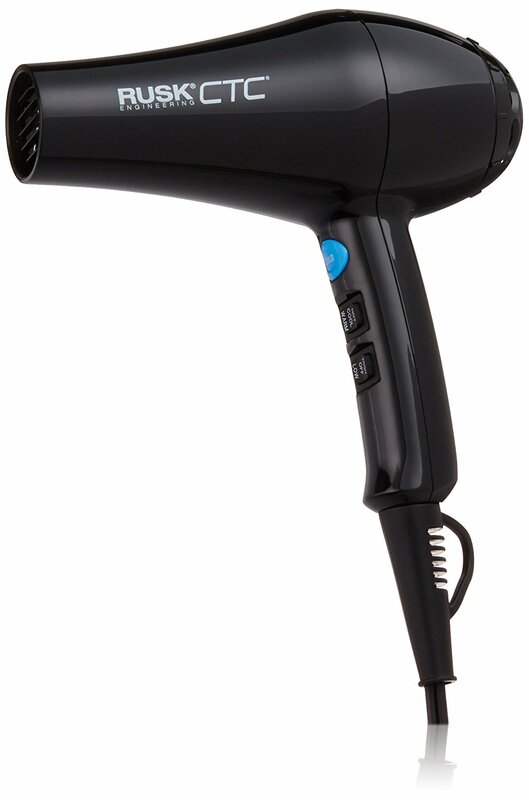 Ionic hair-dryers are one of the latest hair-care styling tools available in beauty-shops today. In fact, research shows that ionic hair-dryers can improve on hair shine and even reduce of hair-frizz but this doesn’t mean that they don’t carry the same dangers as regular hair-dryers. In below are some of the dangers of using ionic hair-dryers over your hair and I think you could consider them before acquiring an ionic-hair-dryer for yourself. Heat risks: although most ionic hair-dryers have well-insulated bodies that prevent them from becoming hot, you can still burn your fingers burnt if you accidentally touch the barrel of the hair-dryer after prolonged use. Additionally, an ionic hair-dryer that has been set to a high heat-level can also burn your scalp and hair during the drying process leading to hair-frizz. Hair maybe ripped-out or cut by the dryer-fan: most ionic hair-dryers feature protective-screens that shield the ventilation-fans at the back-section of the dryer. However, hair that is close to the protective-screens may still get caught inside the moving fan and become ripped-out or cut which can be a painful and can even cause split-ends within hair. Causes damage to the hair-shafts: all hair-dryers and most thermal styling-tools actually cause damage to hair-shafts. In fact, using a hair-dryer at a too-high heat-setting can actually burn-up your hair and even causes split-ends thus making hair dull and frizzy. Electromagnetic-shock: ionic hair-dryers actually give-off an electromagnetic-shock just like other electrical-devices if accidentally immersed into water. However, ionic- hair-dryers are equipped with a water immersion-protection device inorder to prevent electrocution incase the dryer accidentally falls into water but you should avoid putting your hair-dryer into contact with water when its plugged into a power-source inorder to be on a safer side. They emit a strong and dangerous electromagnetic-field: ionic hair-dryers actually emit a strong electromagnetic-field which is about 200-to-400mg (Gauss). So, such a powerful electromagnetic-field can cause cancer within children and this implies that ionic hair-dryers should never be used on children because they will cause serious health-issues and even interfere with child-development.